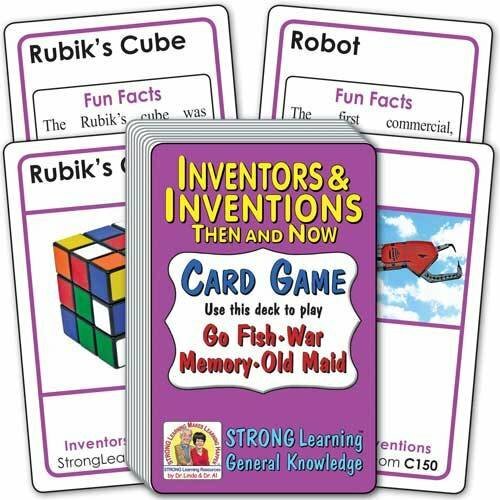 Learn about Inventors & Inventions: Then and Now while playing popular card games. Matches are two cards with the same invention written at the top. One card of each matching pair shows the picture of the Invention. The other matching card has some Fun Facts about the invention.